GranEnergia took delivery of the Compact Semi-Submersible (CSS) Olympia from MAC Offshore. STX Marine (STXM) and CSS Designs Ltd. developed the CSS design over the past five years. Built by Fujian Mawei Shipbuilding in Fujian Province, China, the CSS Olympia is 84.25m long with a capacity for 500 people. 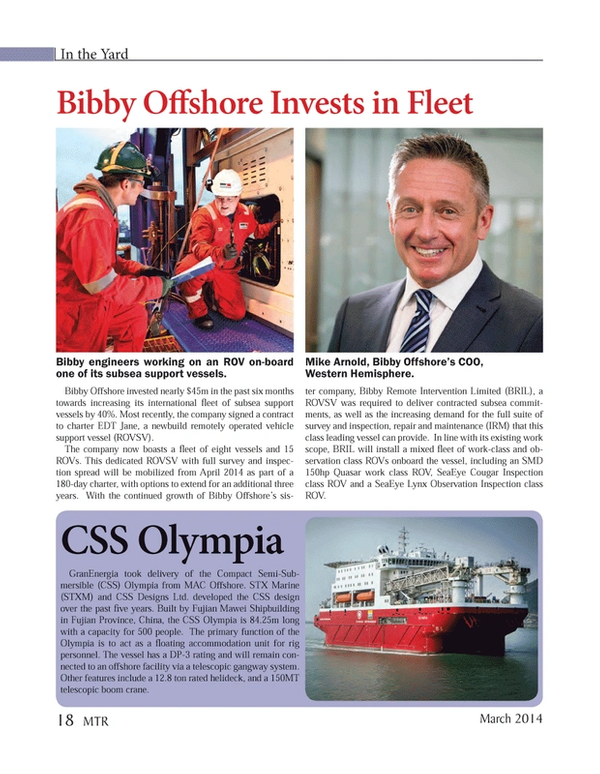 The primary function of the Olympia is to act as a floating accommodation unit for rig personnel. The vessel has a DP-3 rating and will remain connected to an offshore facility via a telescopic gangway system. Other features include a 12.8 ton rated helideck, and a 150MT telescopic boom crane.